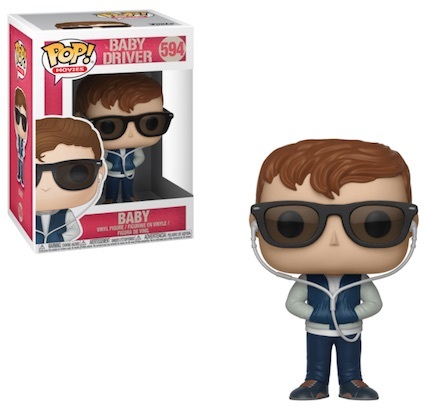 The action-packed Baby Driver film enters the vinyl ranks with Funko Pop Baby Driver. The small Pop! Movies set includes Baby, the driver-for-hire with a passion for music. Shown with his hands in his pockets, Miles (a.k.a. Baby) wears a gray and blue jacket with jeans and, of course, headphones from his iPod, which help drown out his tinnitus. The main Baby figure has Wayfarer-style glasses while the chase figure comes without sunglasses. These variants average 1:6 boxes, so they can take a little more work to track down and carry a premium price tag unless you spot one in the wild. 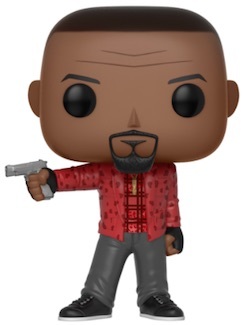 Shop Funko Baby Driver Figures on Entertainment Earth. 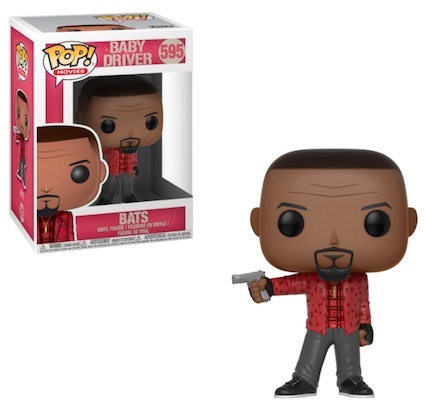 Although the movie features multiple characters of note, only Bats gets the call in the initial Funko Pop Baby Driver lineup. Played by Jamie Foxx, Bats wears a flashy red jacket with a patterned red shirt and faded jeans. He also rocks a gold chain while holding a pistol in his extended arm. Performing well with critics and at the box office, Baby Driver is considered by many to be one of the best films of 2017. It has been rumored that director/writer Edgar Wright has a sequel planned but nothing has been formally announced. 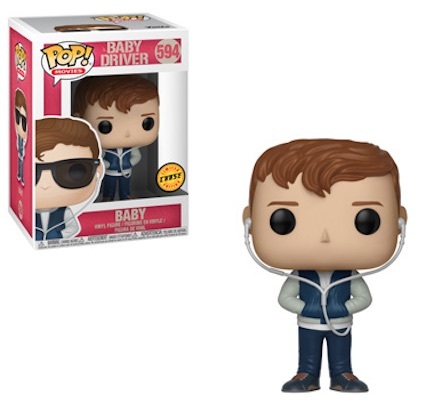 Baby Driver Pop! 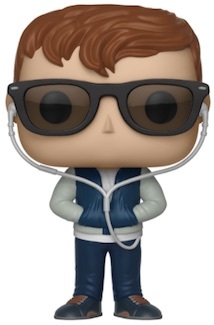 Vinyl - Baby (With Chase) - FunKo Free Shipping!